Everyone wants cheap bike insurance, but what can you do to reduce your premiums? Here are some simple tips that should save you money. One of the best ways to ensure cheap bike insurance is to garage your bike at home. Some insurance companies will even go as far as not covering an ungaraged bike, while others will charge an extra percentage on top of your insurance premium. If you don’t have a garage at home, don’t panic, there’s still a way of getting the same (or similar) discount. If you’re able to rent one within a mile of your home this can help bring the price of your policy down a great deal. Just make sure you tell the insurer that the bike is garaged, but away from the home address. Riders who have had their licence for a long time can be considered lower risk. Over time your insurance premium should go down. However, if you’ve only been riding for a short period of time, there are other options; an insurance company will appreciate that you’re less of a risk on your bike (and reward you with cheap bike insurance) if you’ve undertaken further training after passing your test. Check out our article on advanced rider training for more details. Cheaper bike insurance could be just a short training course away – and beyond saving on your insurance premium, you’ll probably feel a lot safer on your bike, too. The motorcycle insurance premium for your bike is going to rise if you let your insurer know that you intend to leave the country and circumnavigate the globe on two wheels. If you stay in the UK you’ll be rewarded with cheaper bike insurance because you’ve avoided the sometimes risky, badly-surfaced roads and drivers on the opposite side of them. And your bike is an insurance risk while it floats across the channel on the ferry, too. So take your biking holidays at home, and you’re almost guaranteed to enjoy cheaper insurance. Many insurance companies will give you a cheap quote based on how your bike is secured – whether that’s in your locked garage or on the street. Some insurance firms will offer discounts on your premium of around 10% if you add additional security, whether that’s an alarm, locks and chains, or a tracker. A Thatcham-approved device will most likely get you some cheaper bike Insurance. We wouldn’t ever recommend that you ride your bike less – it’s what we all live for – but if you want very cheap bike insurance then it’s worth keeping an eye on how many miles you cover on your bike, and letting your insurance company know at renewal time. Your premium will become cheaper the lower your annual mileage is; because you and your bike are on the roads less you’re deemed to be less of an insurance risk. Remember to be honest when you fill in the form to get your quote – if you think you’ll be riding less than you did last year, tell someone – you’ll probably benefit from cheaper bike insurance as a result. Buying your motorcycle insurance on the net gets rid of the overhead costs of a call centre, so insurance companies often cheapen online policy prices. You can also get quotes any time of day or night – so for bike buyers leading busy lives it’s often much more convenient too. Bike insurance is a betting game – firms are betting on how much money they need to take in to cover their liabilities and make a healthy profit. But they don’t have to profit from every new policy taker, just the lazy ones. Let someone who’s too idle to get multiple quotes pay over the odds so you don’t have to. It’s possible to save £100s or even £1000s on some quotes, traditionally you’d have to spend hours on the phone repeating your information – but now motorcycle insurance comparison websites like MCN Compare allow you to input your details just once, and as we have all the top insurers in one place you are guaranteed to find the best deal possible. Increasing the excess on your policy can dramatically reduce your premium. The downside is that in the event of an accident you will have to cover a larger amount of the costs. Read more about this in our article on hidden costs and higher excess. Any claim, however small, can cost you hundreds when it comes to renewing your policy. It could also prevent you getting your policy renewed at all. So if your bike’s sustained some damage you could have repaired yourself, such as a cracked fairing, think carefully before filling out that claim form. There’s a 50 per cent discount for riders who build up four years’ no claims, with reduced levels of discount for every year leading up to that point. If you unfortunately do need to make a claim find out how to ensure you don’t get stung at renewal time here. It might sound blindingly obvious, but the cheapest motorbike insurance in the world will turn out to be useless if it comes to light that you lied to get a cheaper quote. Never be tempted to lie about things like where your motorbike is stored just to get a lower insurance quote. What happens if they turn up at your house to see the locked, brick-built garage that your bike was stolen from, only to find a rotten wooden shed with no door? It’s an extreme example, but if your motorcycle insurance claim hinges around a small detail, it would be unfortunate for it to directly relate to a white lie on your initial request for a quote. These days, superbikes which are two or three years old are hardly outdated and underpowered. But if you ride a brand new machine, it’s going to cost you. Bikes that are two or three years old are cheaper to insure, partly because they’re less likely to get stolen. If you’re able to pay for your insurance in full when you take out the policy rather than in monthly instalments, you’re likely to see a significant discount. You can compare and save on comprehensive motorbike insurance cover with MCN Compare. We compare against all the top insurers in one place to ensure you get the cheapest cover available, tailored specifically for you. See for yourself, get a quote now (online and over the phone). 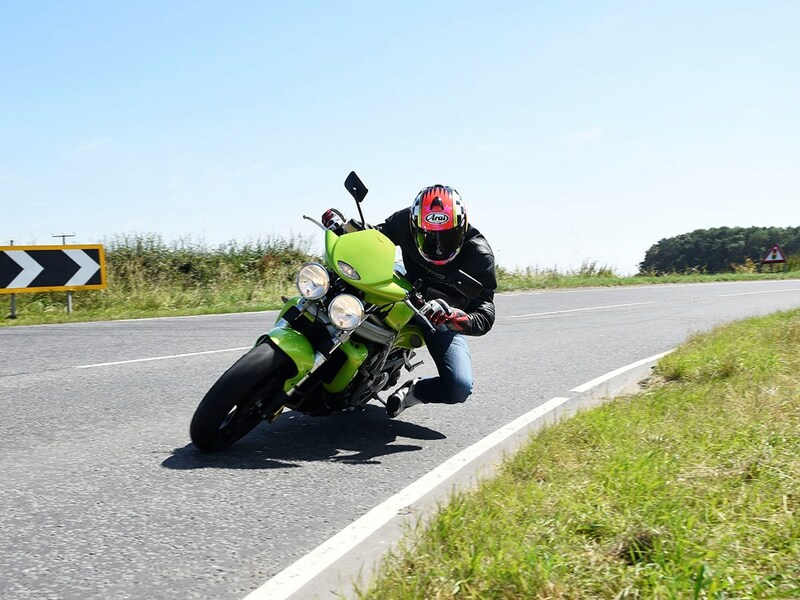 Read our next article on motorbike insurance cover types explained.